...the scientific cast of mind examines the world critically, as if many alternative worlds might exist, as if other things might be here which are not. Then we are forced to ask why what we see is present and not something else. Why are the Sun and moon and the planets spheres? Why not pyramids, or cubes, or dodecahedra? Why not irregular, jumbly shapes? Why so symmetrical, worlds? If you spend any time spinning hypotheses, checking to see whether they make sense, whether they conform to what else we know. Thinking of tests you can pose to substantiate or deflate hypotheses, you will find yourself doing science. A system such as classical mechanics may be ‘scientific’ to any degree you like; but those who uphold it dogmatically — believing, perhaps, that it is their business to defend such a successful system against criticism as long as it is not conclusively disproved — are adopting the very reverse of that critical attitude which in my view is the proper one for the scientist. In The Logic of Scientific Discovery (1959, reprint 2002), 28. Hands-on experience at the critical time, not systematic knowledge, is what counts in the making of a naturalist. Better to be an untutored savage for a while, not to know the names or anatomical detail. Better to spend long stretches of time just searching and dreaming. If the universe is measurably curved today, cosmologists must accept the miraculous fact that this is so for the first time in the 1010-year history of the universe; if it had been measurably non-flat at much earlier times, it would be much more obviously curved today than it is. This line of reasoning suggests that the observable universe is essentially exactly flat: that it contains precisely the critical density of mass. (1986). As quoted in Isaac Asimov's Book of Science and Nature Quotations. In The Logic of Scientific Discovery (1959, 1972), 281. It sometimes seems necessary to suspend one's normal critical faculties not to find the problems of fusion overwhelming. Let us be cautious in making assertions and critical in examining them, but tolerant in permitting linguistic forms. Concluding sentence in article, 'Empiricism, Semantics, and Ontology,' Revue International de Philosophie (1950), 11. Article reprinted in Richard Boyd, Philip Gasper and J.D. Trout (editors)The Philosophy of Science (1950), 96. One way of dealing with errors is to have friends who are willing to spend the time necessary to carry out a critical examination of the experimental design beforehand and the results after the experiments have been completed. An even better way is to have an enemy. An enemy is willing to devote a vast amount of time and brain power to ferreting out errors both large and small, and this without any compensation. The trouble is that really capable enemies are scarce; most of them are only ordinary. Another trouble with enemies is that they sometimes develop into friends and lose a great deal of their zeal. It was in this way the writer lost his three best enemies. Everyone, not just scientists, needs a good few enemies. Quoted in George A. Olah, A Life of Magic Chemistry (2001), 146. Research is fundamentally a state of mind involving continual re­examination of doctrines and axioms upon which current thought and action are based. It is, therefore, critical of existing practices. In 'The Influence of Research in Bringing into Closer Relationship the Practice of Medicine and Public Health Activities', American Journal of Medical Sciences (Dec 1929), No. 178. As cited in Bill Swainson (ed. ), The Encarta Book of Quotations (2000), 885. Scientific findings do not threaten anyone (except to the extent that Homo sapiens may prove incapable of controlling what science makes possible). But what is critical to understand is that our species (or, for that matter, God) is not in the least diminished by the idea that we emerged thanks to the processes of evolution. In The Monkey in the Mirror: Essays on the Science of What Makes Us Human (2003), 55. Skepticism and debate are always welcome and are critically important to the advancement of science, [but] skepticism that fails to account for evidence is no virtue. Letter (21 Jun 2017) to climate change skeptic, U.S. Energy Secretary, Rick Perry. As quoted in Dino Grandoni, 'The Energy 202: Trump takes on Wind Energy, Talks Solar-Powered Border Wall in Iowa Speech', Washington Post (22 Jun 2017). The events of the past few years have led to a critical examination of the function of science in society. It used to be believed that the results of scientific investigation would lead to continuous progressive improvements in conditions of life; but first the War and then the economic crisis have shown that science can be used as easily for destructive and wasteful purposes, and voices have been raised demanding the cessation of scientific research as the only means of preserving a tolerable civilization. Scientists themselves, faced with these criticisms, have been forced to consider, effectively for the first time, how the work they are doing is connected around them. This book is an attempt to analyse this connection; to investigate how far scientists, individually and collectively, are responsible for this state of affairs, and to suggest what possible steps could be taken which would lead to a fruitful and not to a destructive utilization of science. The Social Function of Science (1939), xlii. The full story of successful organ transplantation in man weaves together three separate pathways: the study of renal disease, skin grafting in twins, and surgical determination. A leitmotif permeates each of these pathways, i.e. a single event or report was critical for medical progress. The most remarkable discovery made by scientists is science itself. The discovery must be compared in importance with the invention of cave-painting and of writing. Like these earlier human creations, science is an attempt to control our surroundings by entering into them and understanding them from inside. And like them, science has surely made a critical step in human development which cannot be reversed. We cannot conceive a future society without science. In Scientific American (Sep 1958). As cited in '50, 100 & 150 years ago', Scientific American (Sep 2008), 299, No. 3, 14. The principal goal of education is to create men who are capable of doing new things, not simply of repeating what other generations have done—men who are creative, inventive, and discovers. The second goal of education is to form minds which can be critical, can verify, and not accept everything they are offered. From remarks at a conference on cognitive development, Cornell University (1964). In Philip Hampson Taylor, New Directions in Curriculum Studies (1979), 90. Thus science must begin with myths, and with the criticism of myths; neither with the collection of observations, nor with the invention of experiments, but with the critical discussion of myths, and of magical techniques and practices. In Conjectures and Refutations: the Growth of Scientific Knowledge (1963, 2002), 66. To turn Karl [Popper]'s view on its head, it is precisely the abandonment of critical discourse that marks the transition of science. Once a field has made the transition, critical discourse recurs only at moments of crisis when the bases of the field are again in jeopardy. Only when they must choose between competing theories do scientists behave like philosophers. 'Logic of Discovery or Psychology of Research', in I. Lakatos and A. Musgrave (eds. ), Criticism and the Growth of Knowledge (1970), 6-7. 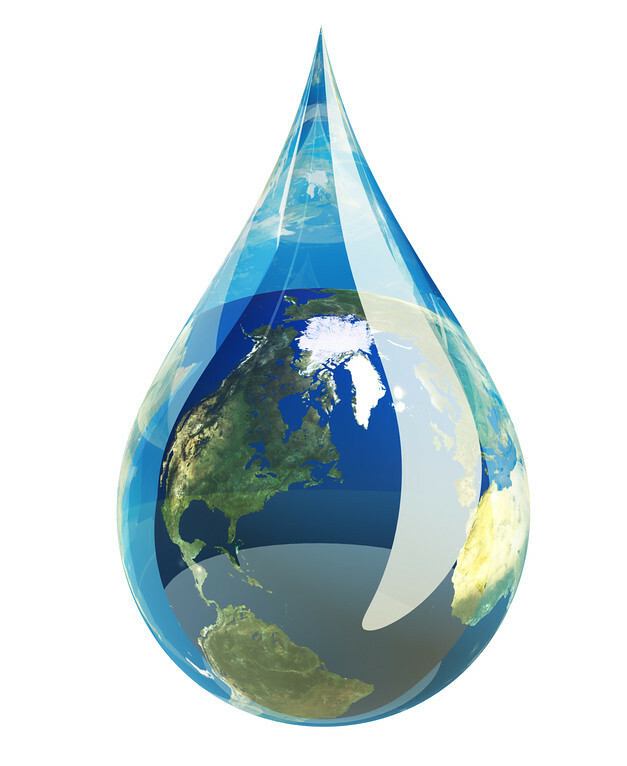 Truly, we do live on a “water planet.” For us, water is that critical issue that we need. 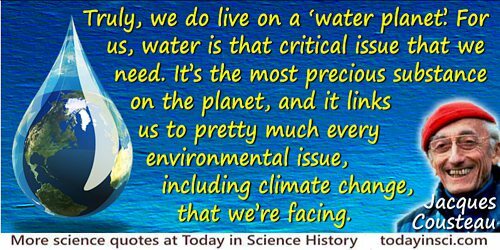 It’s the most precious substance on the planet, and it links us to pretty much every environmental issue, including climate change, that we’re facing. From interview by Kathleen Walter, Newsmax (28 Sep 2009). When the ability to have movement across social class becomes virtually impossible, I think it is the beginning of the end of a country. And because education is so critical to success in this country, if we don't figure out a way to create greater mobility across social class, I do think it will be the beginning of the end. [With] our critical faculties in decline, unable to distinguish between what feels good and what’s true, we slide, almost without noticing, back into superstition. … We have also arranged things so that almost no one understands science and technology. We might get away with it for a while, but eventually this combustible mixture of ignorance and power is going to blow up in our faces.